The final presentation of the fall Stallion Performance Test that took place last Saturday, has resulted in eight newly approved stallions. Four of them are from the E-year. As chairman of the Stallion Selection Committee, Cor Loeffen is very satisfied with the group: "We are very content with the stallions that we have been able to approve. The performance test went well and most stallions have developed very positively." 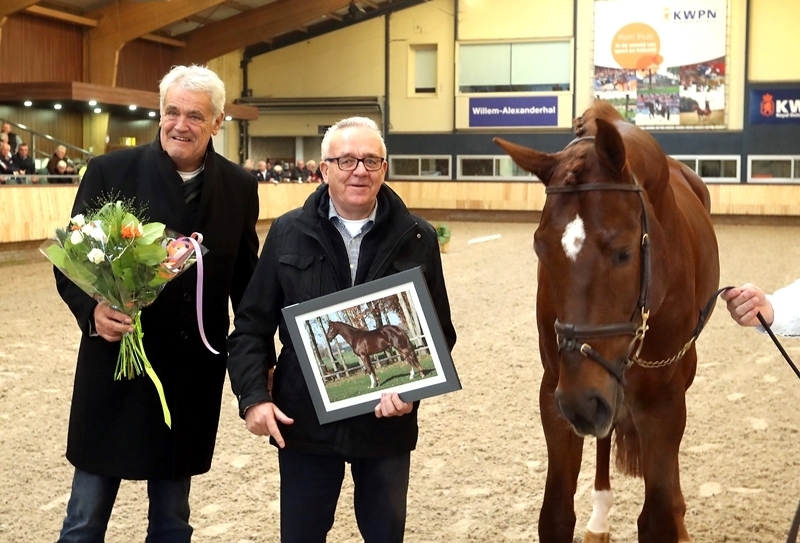 The highest points were awarded to the Comme Il Faut-son Komme Casall (ds.Casall) of Herman Seiger, who got approval for a stallion by Comme Il Faut for the third time. Six of the eight stallions were approved with a score of over 80 points. All stallions are WFFS-frfee, the WFFS-status can be found in the KWPN Database.